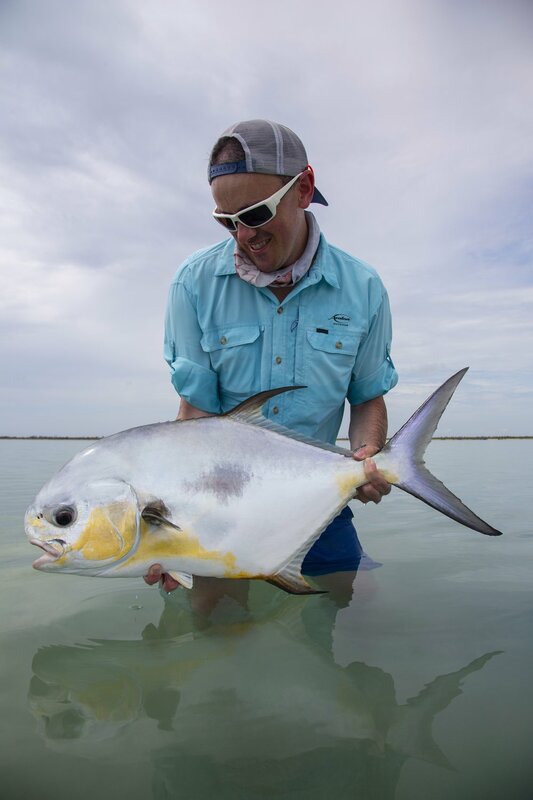 Permit are the ultimate flats species for saltwater fly fishers, but they never come easy which is part of their allure. The flats of Cuba offer some of the best permit fishing on the planet. Located on the north shore of the eastern province of Camaguey, the Cayo Cruz fishery is an enormous system of flats, lagoons and pristine estuaries. 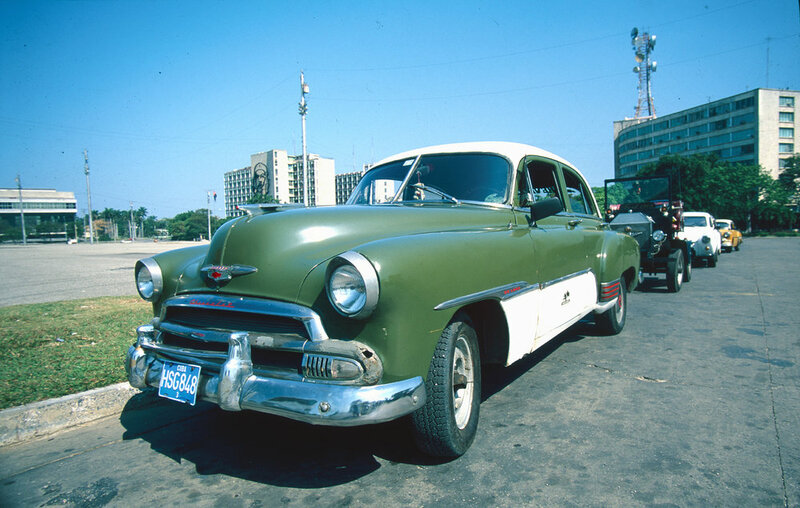 Located in Jardines del Rey, commercial fishing within this designated area is strictly forbidden and rigorously enforced. The sportfish - only area is 366 square kilometers in size, meaning that on the average day, each skiff has over 50 square kilometers to itself. The fishing area is virtually untouched and represents one of the cleanest and most biologically diverse ecosystems we’ve ever fished. This is one of the other reasons we have chosen this destination. It is still pretty much untouched and has only seen anglers for three seasons! The fish are plentiful and aggressive. Nick Reygaert is the founder of Gin-Clear Travel. He has carved out a career as a celebrated fly fishing film maker for the last 15 years during which time he has traveled extensively in pursuit of the world's best fly fishing. Nick has had an obsession with Cuban fishing ever since he first traveled there 17 years ago and caught his first bonefish. He has traveled to the Caribbean numerous times over the last decade to fish the numerous flats destinations available to keen angler. He relishes the opportunity to take hosted groups to sight fish the extensive Cayo Cruz flats for bonefish, tarpon and trophy permit. Day 0 : (July 6th) Fly to Cayo Coco via Toronto, gather at airport and transfer to hotel. LODGING DETAILS: The Oceans Arena Blanca by H10 will be the first hotel at Cayo Cruz. This is scheduled to be open in 2018, contractors are announcing that grand opening will be November 1st, 2018. It will have 550 rooms and will be located at only 2 minutes of the fishing dock, where you start the fishing each morning. It will be all inclusive system with swimming pool, bar, lounge, fitness center, etc, featuring several activities for non fishing guests as well, all of this will be offered by the entertainment staff. The hotel is at only 1 hour from Cayo Coco airport, and at 2 hours from Camaguey airport. There is a brand new asphalt road that connects Cayo Cruz to both airports, which makes your transfers easy and quick Once at the hotel, you can go on foot or by electric car to the marina that is at only 100 meters away. You will be accommodated at a special block overlooking the sea and away from the noisy parts of the hotel like the theater and discos. LENGTH OF STAY: The typical package is six (6) days of fishing Saturday-to-Saturday . NON-ANGLING ACTIVITIES: Cayo Cruz is a good destination for non-angling partners. The hotel has a swimming pool, bar, lounge, fitness center, etc, featuring several activities for non fishing guests. INTERNET/COMMUNICATION: Cayo Cruz has internet services for guests although the internet speeds reflect its isolation. GENERAL INFO: The first thing that guests need to know about when considering this location, aside from the exceptional flats fishing that is found here is that this new fishery is still very much in its infancy. The flats are an inviting combination of hard packed white sand and a semi-firm mottled bottom that still provides good wading. And what a place this is for those who like to wade! It’s very similar to Los Roques in terms of the amount of area that’s wadable and there are places here where you can wade for 4 straight hours without heading back to the boat. Cayo Cruz demonstrates all the characteristics of a recently discovered, virgin fishing territory – large numbers of fish, good sizes and their evident lack of exposure to flies and leaders. Add to this the natural beauty of the cays and of the water and you have a truly memorable place to fish. 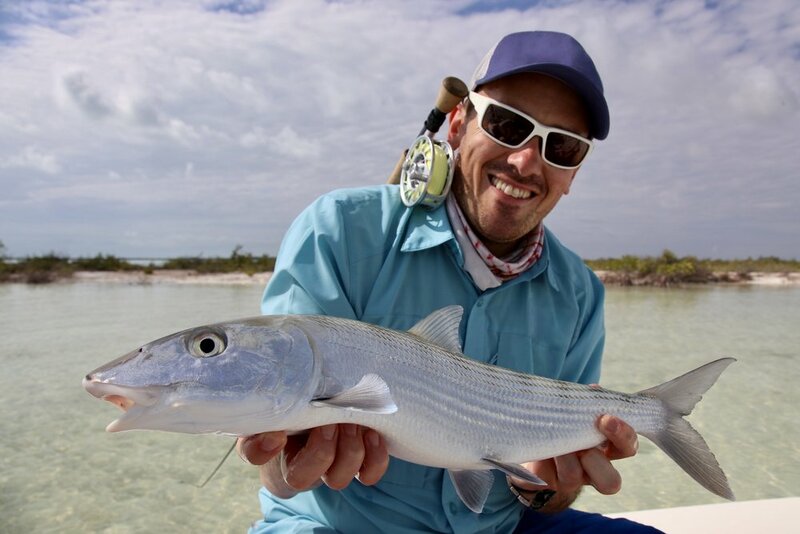 The average sized bonefish is a healthy 4 pounds and during the course of the week it is not unheard of for guests to land a fish or two in the 10 pound range. Tailing bonefish are common and guests can expect to see bonefish in singles and doubles, all the way up to schools of several hundred fish. What really sets this location apart from so many other fisheries is that guests can expect to encounter and get shots at good numbers of permit each day. There are very few places on earth where guests can fish for big bonefish each day and also get shots at tailing permit. This combination may take place in other locations but not with the consistency that is virtually guaranteed at Cayo Cruz. It is a rare day when you don’t encounter and get shots at permit. The permit will range in size between about 8 and 30 pounds. The flats at Cayo Cruz/Cruz are a little deeper than those found in other areas of Cuba, which means that the bonefish and permit are still found in excellent numbers throughout the year. GENERAL PROGRAM: The skiffs depart from Cayo Cruz each morning and depending on the guide rotation that day, you may be heading to any number of areas to spend the day. From Cayo Paredon Grande in the north to Cayo Guanaja in the south, there are countless islands, lagoons and bays that will keep anglers happy and into fish. Much of the fishing takes place back towards the mainland, in and around the massive island of Cayo Cruz. The average boat run to the fishing areas is about 20 minutes in length and in some areas, you can be into fish within 5 minutes of leaving the boat docks. It just depends on where your guide wants to take you that day and what you are interested in targeting. With 50 square kilometers per boat, the options are just about limitless. There are so many great aspects to this fishery that it can truly be a sensory overload at times.